But now that I actually work for an Internet company (as opposed to a media company trying to figure out the Internet), I am struck by something overlooked in this welcome development. A diversity discussion gap, if you will. In Silicon Valley there is one underrepresented group in particular — one that by law is entitled to fair treatment in hiring and employment practices — that not only has failed to enter this conversation, but is often regarded as anathema when it comes to headcount. Even at that, I suspect Medium is more age diverse than a lot of other small Internet companies. Recently I visited a friend who just took a job at one of the Unicorn startups in the valley. This person is a couple of years younger than me — but still over a decade older than the next oldest person. Another friend of mine, roughly my age, believes herself the oldest person by a good margin in her company of several hundred. A few years ago, Mark Zuckerberg caused a stir when addressing a few hundred entrepreneurs at Startup Camp. “Young people are just smarter,” he reportedly said. He quickly retracted, and now that he is over 30, one suspects he might have modified his views, if indeed he was speaking his heart. Nonetheless, he was reflecting a view that is widely held but seldom explicitly expressed in Silicon Valley. Older people are seen as dimmer and less energetic than those under 30. 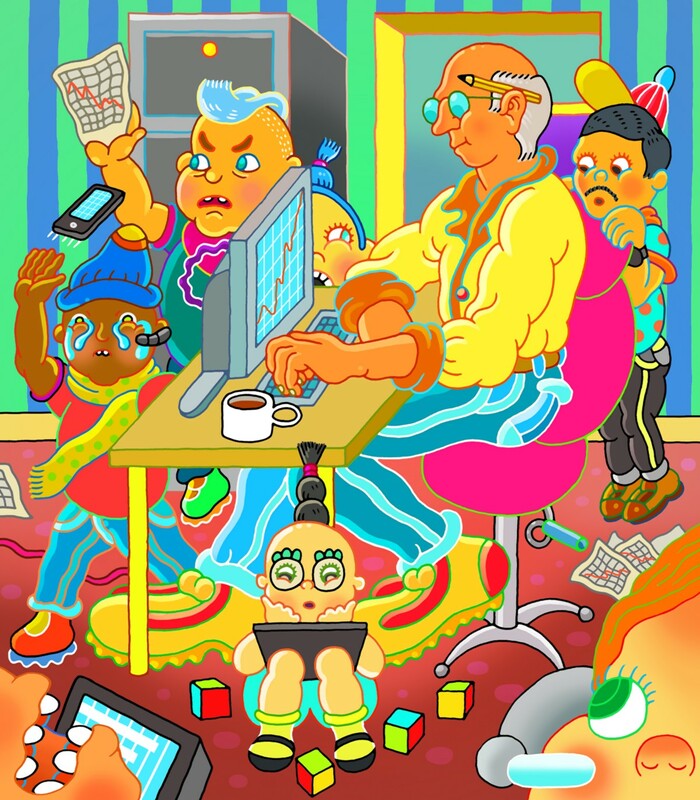 There’s a worry that having worked elsewhere, older people have ingrained habits that prevent them from adopting the fast-moving pace of innovation necessary at tech companies and especially startups. I guess in some cases that might be true — but in any age group some people will be more adaptable than others. I suspect that more often than not, tech companies, particularly smaller ones, shy away from older folks, often with the flimsy justification that they’re not “culture fits.” Critics rightfully point out how that vague term often leads to excluding other underrepresented groups. As a result, older job seekers — many of whom were laid off in the endless “re-orgs” that come when companies struggle, merge, or just want an excuse to cut the codgers — have to take lunatic measures to present as if they are not who they are. A 2014 article in The New Republic about the age problem in technology described how middle-aged people are undergoing plastic surgery to appear more age-appropriate for a workforce that values youth. Instead of standing up for their legal right to be considered for a job, and to be retained once they held a job, people of maturity are hiding their identity, or at the least misdirecting people from the shameful fact that they are not in their twenties. Can you picture the outrage if gays were forced back in the closet to get work? If people of diverse cultural heritage had to change their name to remove the perceived stigma of their background? If women were asked to pose as men in order to get work, like some sick version of a Shakespeare comedy? But believe it or not, subterfuge is standard advice for mature job-seekers. Don’t list too many jobs on your resume, experts warn. And of course — get thee to the Botox. Fair enough. But at the least, age deserves a place in the discussion and an acknowledgment that age diversity is a plus for the company — both morally and strategically. But you tell me — should companies strive for age diversity, even in a field as innovation-crazy as tech? Present your counterargument, or bolster my own. Share your own experience. Better yet, come up with some solutions. After I hear from you, I might suggest a few of my own. Unlisted Thanks to Sophia Banay Moura, Naureen, Sandra Upson, Mark Lotto, and Evan Hansen.